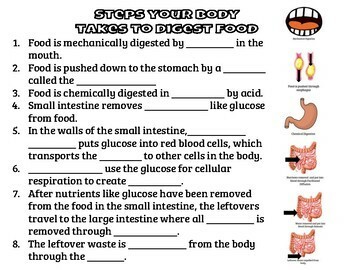 This reading activity allows students to practice their reading comprehension skills and finding text-based answers by using the reading to fill in a graphic organizer. 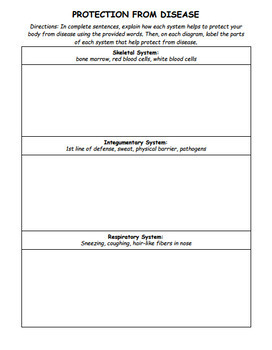 Interactive reading activity in which students must read a text about how the circulatory and respiratory systems interact and use color to help them trace the movements of blood, oxygen, and carbon dioxide through the body. Then they must map these movements on a diagram of the systems. Doodle notes with diagrams and activities to check for understanding on the following body systems: skeletal, muscular, circulatory, respiratory, nervous, integumentary, immune, excretory. 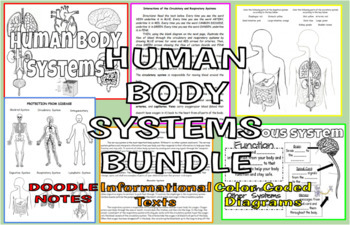 Includes answers and links to interactions between body systems readings and a Google Slides presentation to help students trace a red blood cell through each body system to show how the systems interact, as well as a link to an editable version of the Doodle Notes. 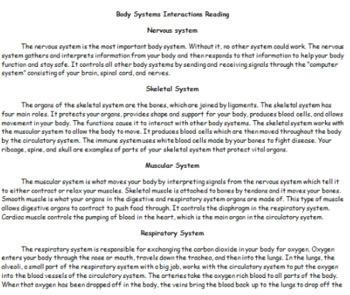 In addition, several activities and informational texts are included that help students see how systems interact.